The afternoon wouldn’t have been such a success without Q Craft - a good amount of our guests went out of their way to express how outstanding the eats were. We really liked having the casual atmosphere and your BBQ fit perfectly with that! We recently had Brannon Fetzer of Q-craft cater an event for us. I had been searching for a caterer to do BBQ and do it well. Q-Craft showed up with their grill and it was top notch. On time, helpful, creative yet modern in their presentation and amazingly delicious food. They supplied everything that we needed and our event was a huge success because of Brannon and his team. I highly recommend them for causal BBQ’s to high end events. Seems like they can do it all. Brannon is a culinary-trained chef who has a natural talent for creating the most flavorful BBQ - his meat is slow-cooked to perfection and melts in your mouth. He is very creative with interesting and unique side dishes that you won’t find anywhere else. His bacon-wrapped Jalapeno poppers are out of this world - just enough heat! 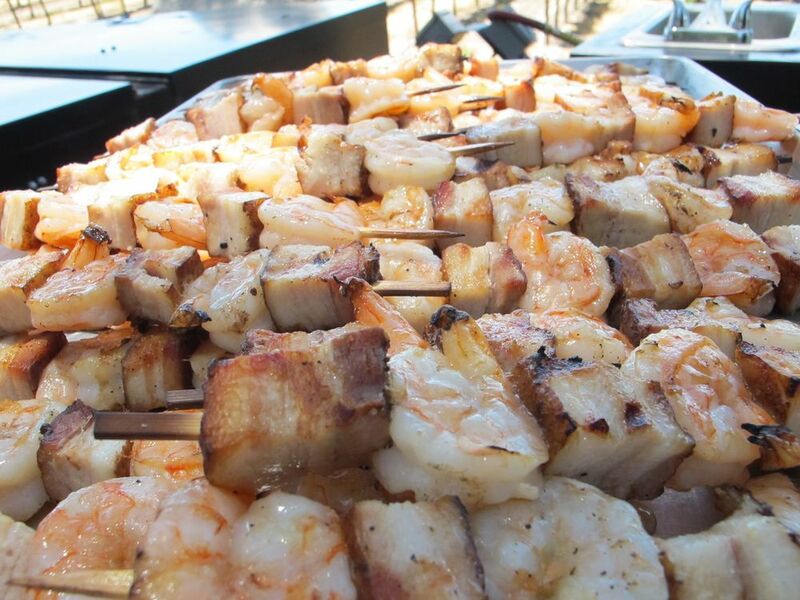 The food from this smoker, a custom job you really need to see, is really special. It’s barbecue that would satisfy any cue trail aficionado, and some really interesting sides that will satisfy those with more discerning tastes. One lady I saw, older with a dignified air, held a forkful of kale salad aloft on a quivering compostable fork and declared it the best she’d ever had with what seemed to be a tear welling up in her eye. She asked the chef for the recipe, or she tried, I imagine, but he was inundated with a throng demanding more chicken wings and ribs, so good were these smoked perfections. The really remarkable thing about this outfit though are the fine photos that seem to document the smoker’s every stop. Dizamn! That’s some gooood eats! Q Craft has catered several winery events that I’ve attended and has knocked it out of the park every time. Their smoker is pretty badass—the proof is in the smoke rings in their meat. They got the food out quickly (on-site caterers can be notorious for slow production and long lines) and the presentation was great. Quality was consistent at all 3 events and the side dishes held their own for creativity and flavor. I would definitely recommend retaining the crew at Q Craft for your next event! Brannon and his Q Craft BBQ crew were amazing and put together our Thursday evening event for 50 people seamlessly with very short notice! Not only that, the food was delicious and original, and Brannon and his crew were professional, yet fun and relaxed. We absolutely would recommend them!